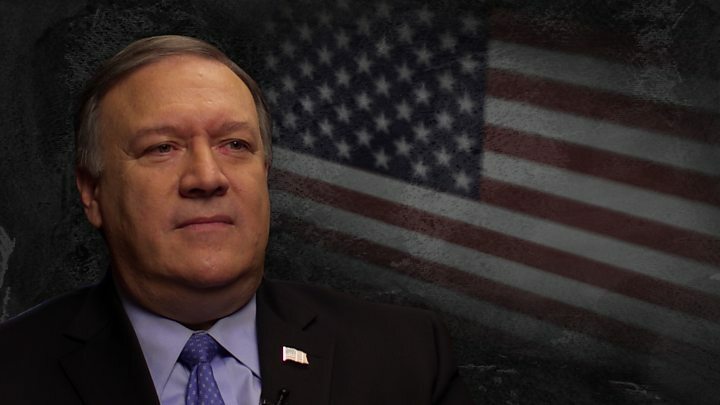 Mike Pompeo was a hardline Republican congressman before President Donald Trump appointed him to direct the CIA and later to lead the US Department of State. The former Tea Party representative from Kansas was handpicked by Mr Trump to be the top US diplomat after he fired former state department chief Rex Tillerson. Hours before Mr Trump announced that he would meet the leader of North Korea, Mr Pompeo was seen in the Oval Office with Mr Trump during a meeting with a South Korean delegation at the White House. In April it was revealed that Mr Pompeo had secretly travelled to Pyongyang over the Easter holiday to meet North Korea's leader Kim Jong-un. Mr Pompeo is seen as a Trump loyalist who performed a delicate balancing act at the CIA in managing frayed relations between the spy agency and a commander-in-chief who compared America's intelligence services to Nazis. He has in the past played down findings by the CIA that the Russians attempted to influence last year's US election. But when push comes to shove, he has shown a willingness to contradict the president on the issue. 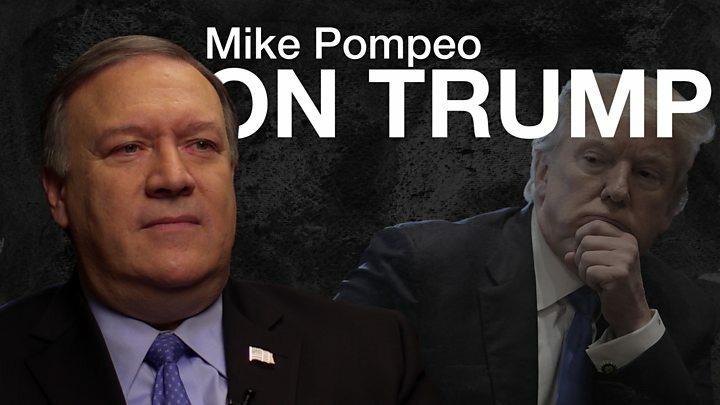 After Mr Trump said he believed Russian President Vladimir Putin's denials, Mr Pompeo firmly stood by US assessments of Moscow's alleged meddling. Mr Pompeo is seen as more hawkish on the Kremlin than the president, and has previously warned that President Putin is a dangerous leader. During his time in Congress, the 53-year-old former-three-term Republican from Wichita, Kansas, was a vehement critic of the Obama administration's nuclear deal with Iran. He has previously defended the National Security Agency's bulk data collection programme and opposes shutting the prison at Guantanamo Bay. After visiting the detention facility in 2013, he remarked that some inmates who had declared a hunger strike looked like they had put on weight. Mr Pompeo also defended the CIA after the 2014 release of a Senate report on torture, which detailed such practices as waterboarding. He declared: "These men and women are not torturers, they are patriots." The CIA tactics, he said, "were within the law, within the constitution". Mr Pompeo graduated first in his class at West Point and graduated from Harvard Law School, where he was an editor of its Law Review. He was elected to the House of Representatives in 2010 with the support of the Republican mega-donors Charles and David Koch. Mr Pompeo became a member of the House intelligence committee and its energy and commerce panel. Before joining Congress, he founded an aviation parts firm and an oilfield supply company. He was accused of Islamophobia for remarks he made following the deadly 2013 Boston marathon bombing. Mr Pompeo had taken to the House floor to suggest some Islamic faith leaders might be tacitly encouraging terrorist attacks. "When the most devastating terrorist attacks on America in the last 20 years come overwhelmingly from people of a single faith and are performed in the name of that faith a special obligation falls on those that are the leaders of that faith," he said. "Instead of responding, silence has made these Islamic leaders across America potentially complicit in these acts and, more importantly still, in those that may well follow." While he was a congressional candidate in 2010, one of his campaign aides sent a tweet linking to an article that labelled his Indian-American Democratic opponent Raj Goyle a "turban topper". Mr Pompeo apologised, though his campaign also sent out billboard ads urging everyone to "vote American". He also served on the House Select Benghazi Committee, a special panel created in 2014 to investigate the deadly attack two years earlier on a US diplomatic compound in Libya. Democrats described it as a political witch-hunt against former Secretary of State Hillary Clinton. Mr Pompeo released a report afterwards accusing her of intentionally misleading Americans about the nature of the attack to help President Barack Obama's re-election bid. Special counsel: What is it and what is Robert Mueller doing?